The exact amount is unknown. But thousands, if not millions of people are yearly forced to leave their homes to make way for multinational corporations who bought their land to grow crops for export. Since the food crisis in 2008, the need for land has increased enormously. International law makes it easy to grab land in Africa – and very difficult for the evicted people to get justice. Two big yellow eyes look up at me when I enter the small mud hut. Malitini Sheni rises from his chair with great agony and limps over to the door to greet me. Two of his children are chasing each other in the yard; the third, youngest one is chasing a hen, imitating its clucking. The small ones seem to be unbothered by the situation, or maybe unknowing. Within a month, they will have to leave their home. Where to go, they have no idea. Food Security – For Whom? Since 2000, more than 1200 agricultural land deals have reportedly been made in developing countries, covering nearly 84 million hectares of land. The area that has been worst affected is Africa. The reported land deals on the continent cover nearly 5 percent of the agricultural area, which roughly equals the size of Kenya. In reality, the number can be much higher, leaving us with the question: what happened to the people who lived on this land? The targeted countries are typically Sub-Saharan, poor, hungry, poorly integrated in the world economy, have weak land institutions and high levels of investor protection. Most of the investors come from China followed by Saudi-Arabia, with also the US, the UK and Sweden making it to the top ten. "There’s nothing bad per se in providing protection to investors, but the problem is that so much less progress has been made in developing protection for people who might be affected by the investment,” says Lorenzo Cotula, Senior Researcher in Law and Sustainable Development at the International Institute for Environment and Development. To reach Malitini’s home we drove for two hours along something that can barely be called a road. His village Kikundi lies in the Uluguru Mountains, outside of the city of Morogoro in Southern Tanzania. As far as the eye can see there are dry mountain landscapes with banana and papaya trees scattered here and there. For generations, Malitini’s family has been living in this area, growing food for their living. But about a year ago, their lives turned to hell. Lack of investment in agriculture has caused the average yield per hectare in Africa to be more than three times lower than in East Asia. Investors often claim that they are enhancing development by leasing land that isn’t utilized. The reports on land deals however tell a very different story, a story about a fight for land between African farmers and multinational investors. Nearly half of the reported land deals target cropland, and more than 60 percent target areas with high population densities, which means good accessibility to near cities and already existing infrastructure. Due to the enormous lack of transparency, it is uncertain how many people have been evicted due to land deals. When it comes to compensation, the African Charter on Human and Peoples Rights affirms the human right to property. In principle this protects the farmer’s right to his land. “The problem is that the charter doesn’t require the government to pay any compensation if the land is taken. Development is very unlikely to happen in a situation where the law is so skewed,” Cotula says. When compensation is paid, it often goes to local authorities, who put the money in their own pocket. “The whole development discourse around large land deals saying it will bring infrastructure, jobs and lead to food security is nothing but myths,” says Anuradha Mittal, founder and executive director for the Oakland Institute, an American think tank investigating land deals in Africa. The ground to the problems for the villagers of Kikundi started already in the 1960’s when Tanzania became independent. The land where the village of Kikundi lies was given to an external cooperative under the condition that they should cultivate the land. None of this involved the today 1000 inhabitants of Kikundi, and they were able to continue their small scale agriculture as before. Recently it turned out the government had threatened to take the land back from the cooperative, since they had not fulfilled their promise of cultivation. In fear of losing their land, the cooperative sold it to a professor from Rwanda. He wanted the villagers out. The reason all this has been possible lies in the colonial heritage. Land in Africa is most often owned by the state or government, and the people living on the land are not the ones who own it. Anuradha Mittal says the engine driving this trend of land grabbing has been the World Bank, encouraging countries to loosen regulations to become attractive to investors. What would be needed is investment in the smallholders. The same things being offered to foreign investors should also be offered to them: water, infrastructure, market, cheap land and tax benefits. “If you’re looking for 18-20 percent return, do it in your own country. Going into Africa and looking for such profit, that is old fashioned colonialism,” Mittal says. “The professor came to my home one day, telling me I should go with him. I refused. Two days later, he came back with two men. They beat me up with wooden sticks,” Malitini says, and lifts his white t-shirt to reveal two big lumps on his back. He can no longer walk properly, which makes working difficult. After buying the land the professor put out guards in the village. People’s houses have been burned down and crops destroyed. There are currently nearly 3000 bilateral investment treaties in the world granting investors strong protection of their property rights. Arrangements for claiming and enforcing human rights treaties are nowhere nearly as effective. Whereas a company can go straight to international arbitraries and get a binding judgment in a dispute with a government, the road for an African villager is very different. Accessing international remedies can take years, because the farmer has to go through all the levels of the national courts first. Also the public awareness of the peasants has to become stronger; they need to know their rights and how they can take action. Mittal says many investors involve pension funds and private equity funds, as well as universities such as Harvard. One example where media attention led to the cancellation of a deal happened in February this year. The State University of Iowa withdrew from a deal that a company called AgriSol was planning in Tanzania. The deal would have lead to more than 160 000 people being evicted from their land. The company says it is only a question of moving a Burundian refugee camp. 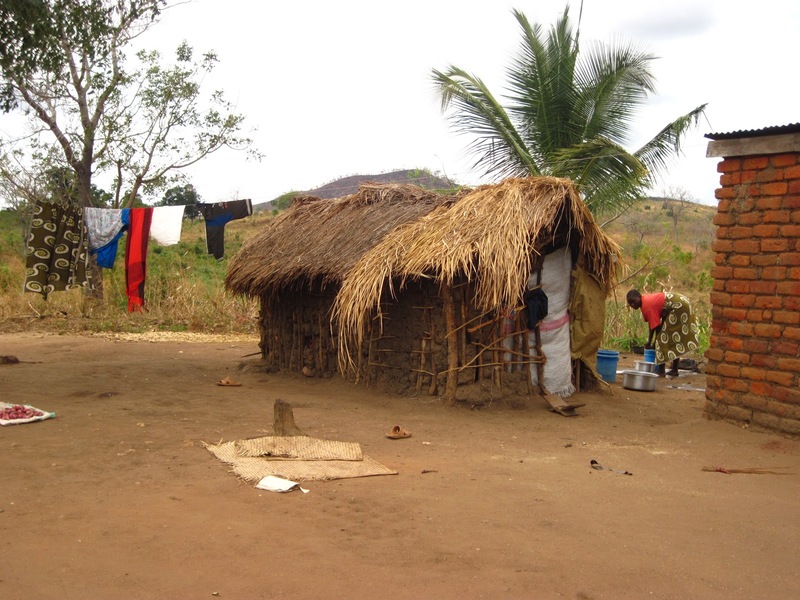 A camp that has been the home of these Burundians for more than forty years. Next to the door, a small children’s shoe hangs, moving slightly in the wind. It is to remind of Malitini’s and his wife’s fourth child, who died as an infant. His wife, a small, slender woman, sits in the corner, looking anxious. ”When our land was seized, we went to the regional representative, and even to the district representative. But they had been bribed by the professor. Even our own chief had taken money from him”, Malitini says. The villagers have now taken the case to lawyers in Dar es Salaam, thanks to the help from Mviwata, a farmer’s organization uniting smallholders to have a common voice in the fight for their interests. They are now awaiting trial. In many countries there are provisions requiring investors to consult local communities before getting a land lease, but they are hardly followed. “We both need to change the law and make existing law work better,” Lorenzo Cotula says. In May 2012 the Food and Agriculture Organization of the United Nations FAO published guidelines on governance of tenure to improve the situation. The guidelines are a result of three years of work, and they are – voluntary. “Nice effort, they have no teeth. Given what is at stake and the consequences it is ridiculous,” Mittal says. A paper showing that you own the land can be a guarantee that gives you a bank loan, but when hunger or drought strikes, the temptation to sell the land without understanding the real value of it can become too big, Mittal explains. I walk from Malitini’s house towards the car. The villagers have assembled outside a worn down house, the centre of the village. In front of it a homemade flagpole with the yellow and green flag of the ruling party lazily moving in the mountain breeze. The children give me pieces of sugarcane “specially prepared for you madam”, and all the sweetness makes me sick. It is August 2010, and elections are coming up in Tanzania. There is still hope in the eyes of the villagers. Since the land in Tanzania is vested in the president, he could claim the land back on behalf of the villagers. Not a completely vain hope, the current president Jakaya Kikwete spares no efforts to keep the throne. However, it is very unlikely that another car than the professor’s will make it through the rough landscape up to Kikundi. I leave. Two years later I try to contact Mviwata to get to know what happened to the villagers. Ten e-mails - no answer.